Our backyard chickens recently began laying eggs, and this is the recipe we used with their very first eggs and some bounty from our container garden. Delicious! You have two choices for the crust (or you could make it crustless in an oven-safe pan — like a frittata). I got the “Easy Whole-Wheat Crust” from 100daysofrealfood.com, a great site about cutting out processed food. 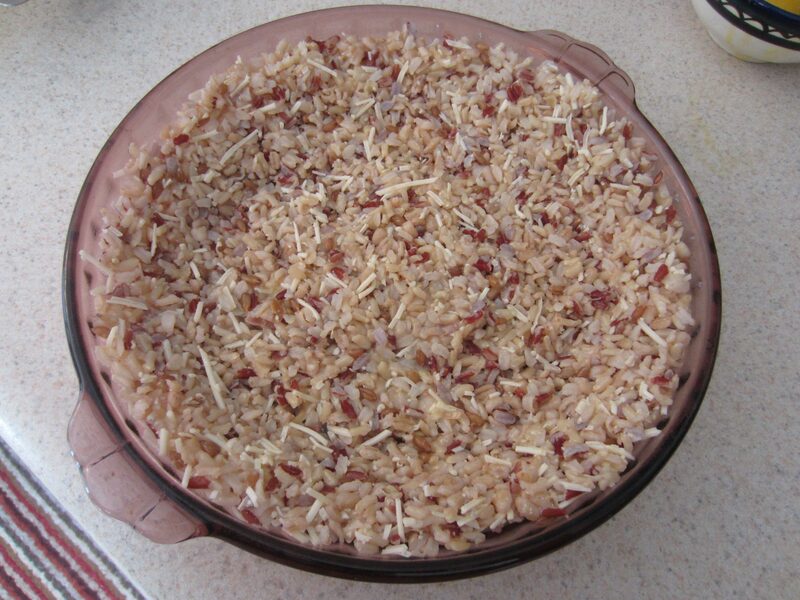 I got the “Brown Rice Crust” from an old book, based on an even older newsletter about frugality, entitled The Tightwad Gazette. This looks absolutely delicious! 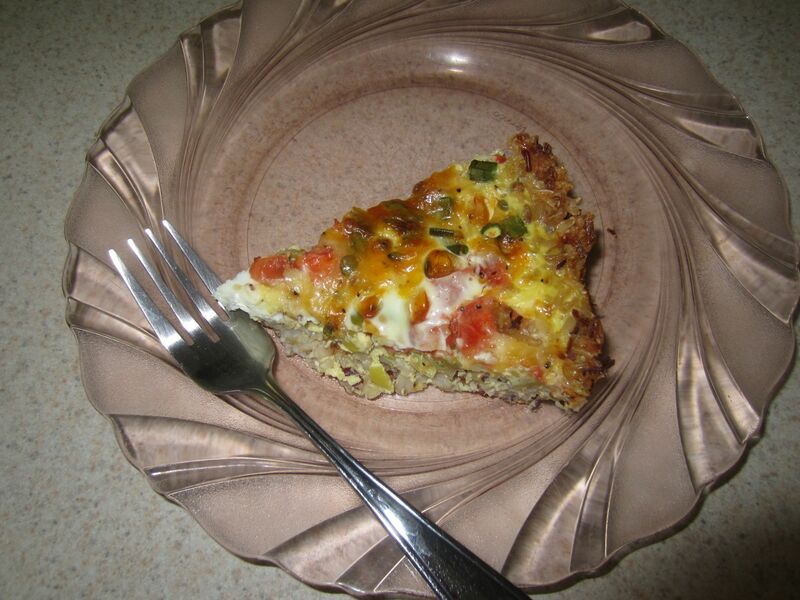 I’ve bookmarked it for when we have enough eggs to make it – I adore a good quiche. Let me know how it turns out … we loved it! Hi there! I saw that you have chickens and was wondering……??? Anyways, I noticed there were roosters in with the hens and he said that since they pull the eggs daily, even if an egg is fertilized it never develops into anything because they are immediately refrigerated. Well, I ate the eggs and they tasted fin, a really deep orange colored yolk….but it just kind of got to my gross out factor for some reason? I then called another local lady, same thing. Do you have roosters in with your hens? 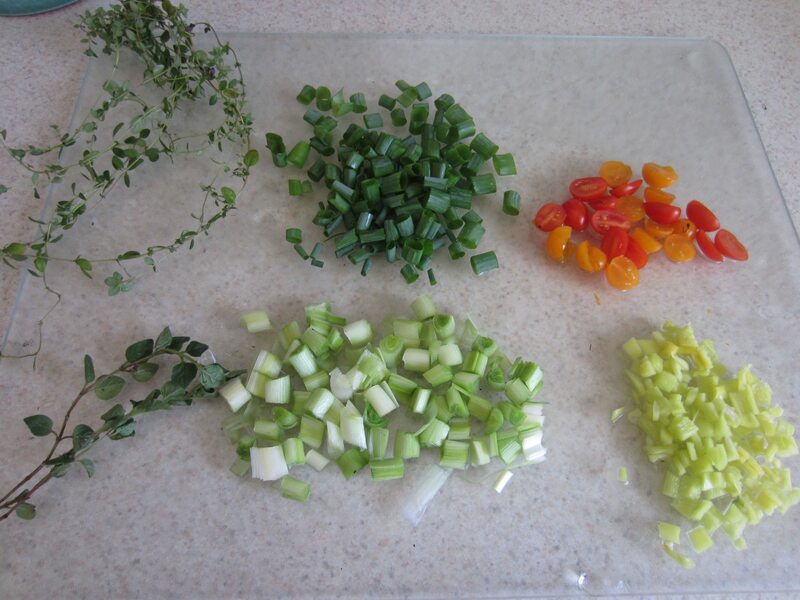 Also, are the bell peppers in this recipe from your container garden? My bell peppers are getting sun burnt….I have resorted to wrapping each one in a little bit of cloth…..looks incredibly silly haha. Hope it works. 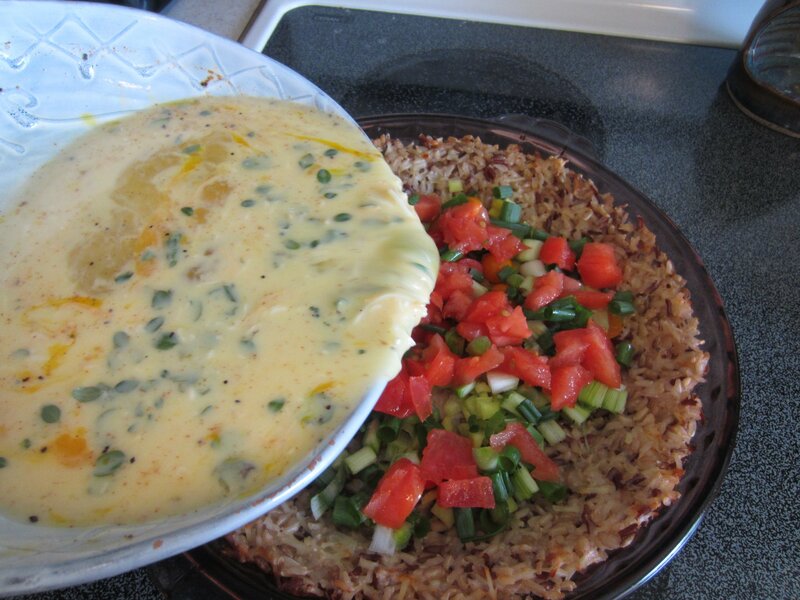 The peppers I used in the photos with this recipe are yellow banana peppers. 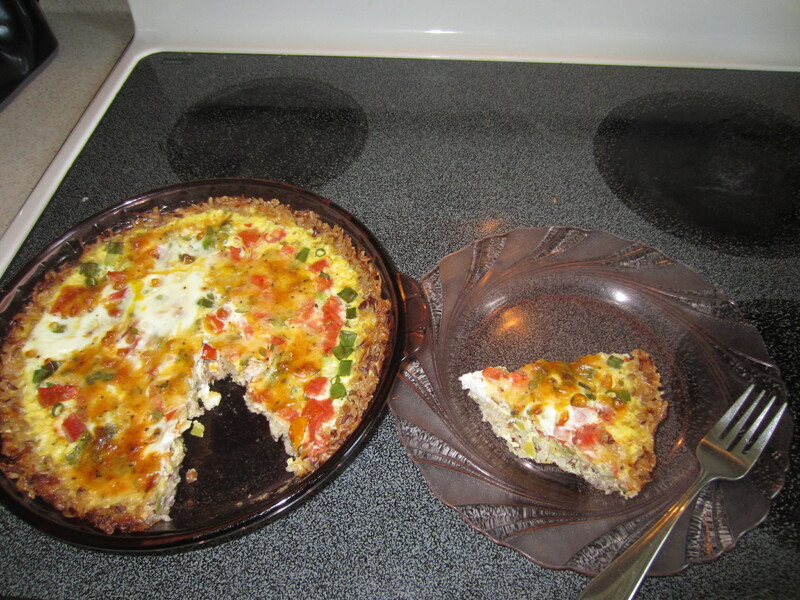 But I’m growing bell peppers (from seed), so hopefully I’ll get some soon, and that would be delish in this quiche recipe. Good luck with yours!